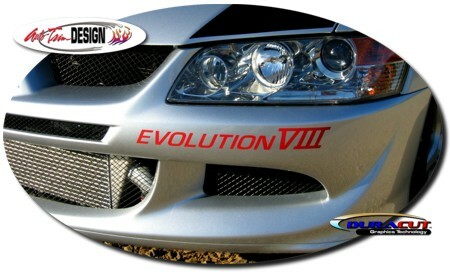 Let'em know what's coming with this unique badging for your Mitsubishi Evolution VII or IX's front bumper. Available in a wide variety of colors. Includes easy-to-follow general online instructions. All of our graphics/decals are manufactured from Premium grade vinyl materials.